Providing a Quality Education in a Caring, Christian Community. 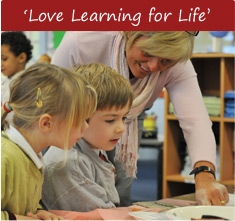 We are an inclusive, welcoming school where everyone is valued and supported to develop their potential in all areas. We take great pride in the progress and development of all our children and feel privileged to share their childhood with you. This school is committed to safeguarding and promoting the welfare of children and young people and expects all staff, volunteers and parents to share this commitment.